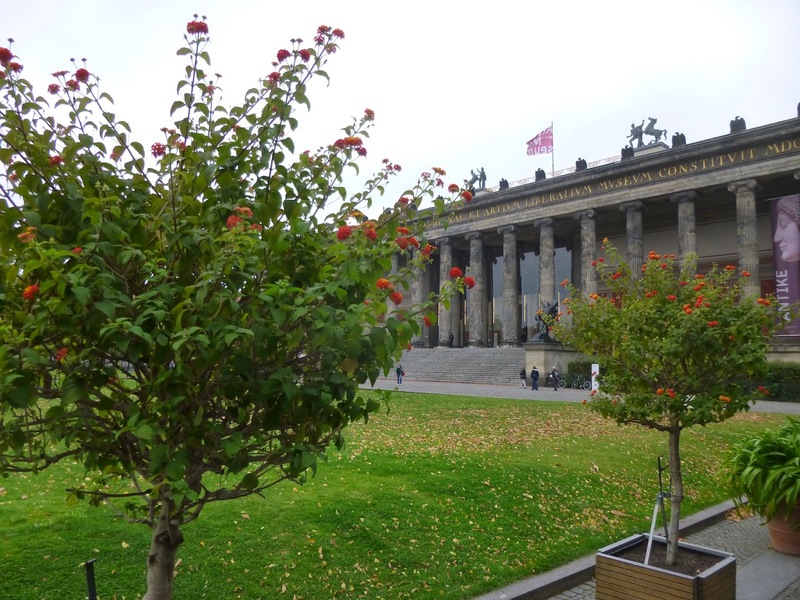 Garden of Aaron: Travel Report - Berlin Streetscapes with Lantana and Pyracantha! 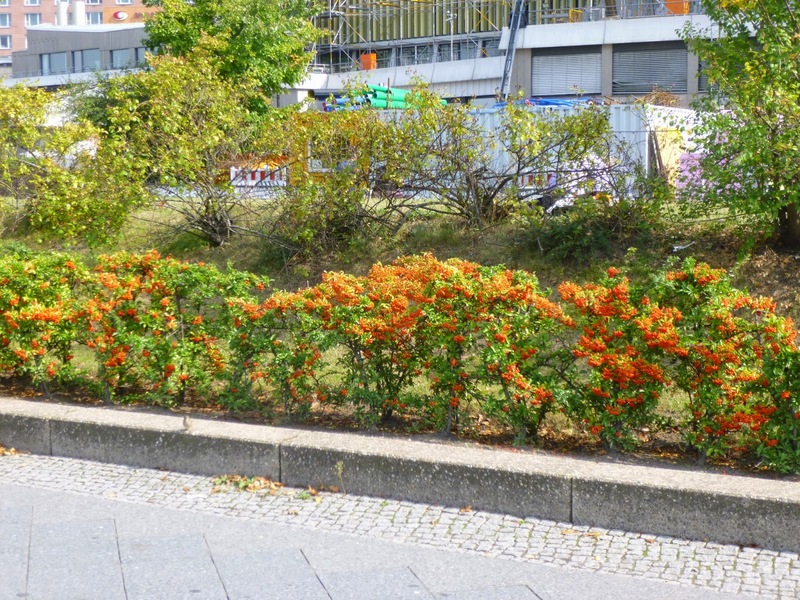 Travel Report - Berlin Streetscapes with Lantana and Pyracantha! ...Lantana camara! That's right, Lantana, which I've never grown (though I have plans to add it to the garden next spring), but which I think of as a dieback perennial in zone 6/7. 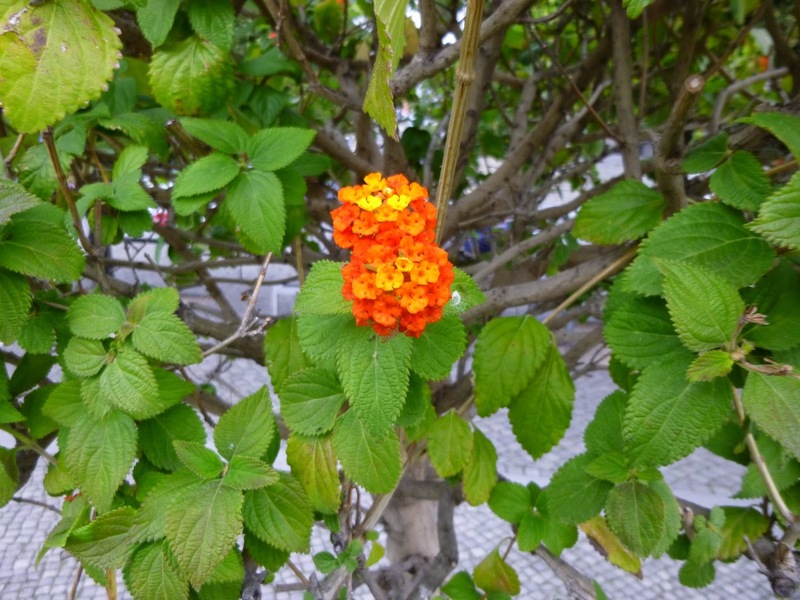 I was under the impression that Lantana only grew to tree size in tropical climates. So perhaps Berlin takes these tree boxes into a greenhouse in the winter? Or can Lantana survive and grow into a street tree even in temperate settings? The mind boggles. The streets of Berlin were also chock-a-block full of this pretty, but dangerous flowering shrub. If I'm not mistaken, this is Pyracantha coccinea, known colloquially as Firethorn for its painful sharp thorns. It's used sometimes in the States -- I've seen it at the Nashville Zoo to keep visitors out of certain aras -- but I've never seen it on a streetscape. It's undeniably attractive and presumably the berries will help feed Berlin's birds in the winter (although truth be told I didn't see many birds in the German urban landscape). And most of the pyracanthas I saw seemed to be thriving, even in challenging urban settings with lots of air pollution, so it's clearly one tough cookie. I was seriously tempted to add some to my garden, but I'll probably chicken out due to those forbidding thorns.